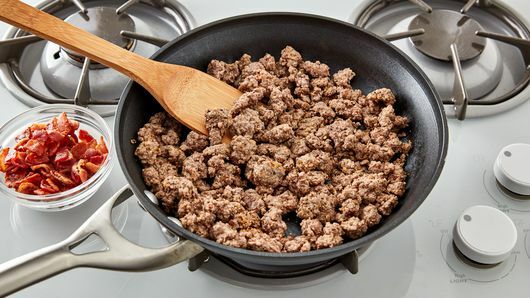 In 10-inch skillet, cook beef and grill seasoning over medium-high heat 4 to 6 minutes, stirring occasionally, until beef is brown; drain. Cool 5 minutes. Stir in bacon. Separate dough into 8 biscuits; let stand 5 minutes. Gently pull each biscuit apart, leaving bottom and lower sides intact, forming deep pocket. 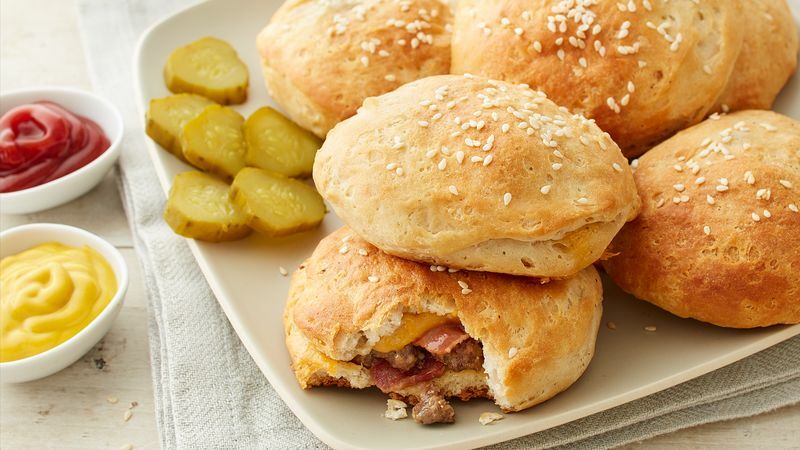 Place 2 quartered pieces of American cheese inside biscuit pocket. Holding opened biscuit in hand; place about 1/4 cup of the beef mixture inside, pressing inside to fit. Gently stretch dough over filling, pressing and firmly sealing around edges of biscuit. Reshape into round, and place on cookie sheet. (Biscuit will be full.) Repeat for remaining biscuits. Brush melted butter on top of each biscuit; sprinkle tops with sesame seed. Bake 18 to 22 minutes or until biscuit tops are golden brown and inside mixture is heated through. Serve with remaining ingredients. 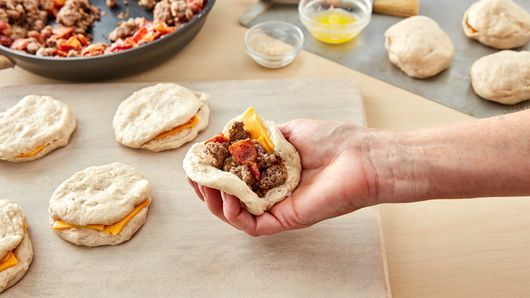 Be sure beef mixture is inside the split biscuit, and press firmly to seal all sides to keep all the cheesy goodness inside. 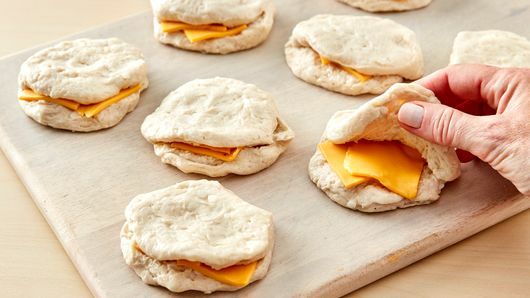 Replace American cheese with Swiss cheese for a different flavor twist!